With my workweek winding down and a weekend full of events at the Pennsylvania Literary Festival (and softball), I decided to kick back and relax once I finished some homework tonight. While relaxing, I threw on a film I picked up at Family Video, the 2013 entry Patrick: Evil Awakens. 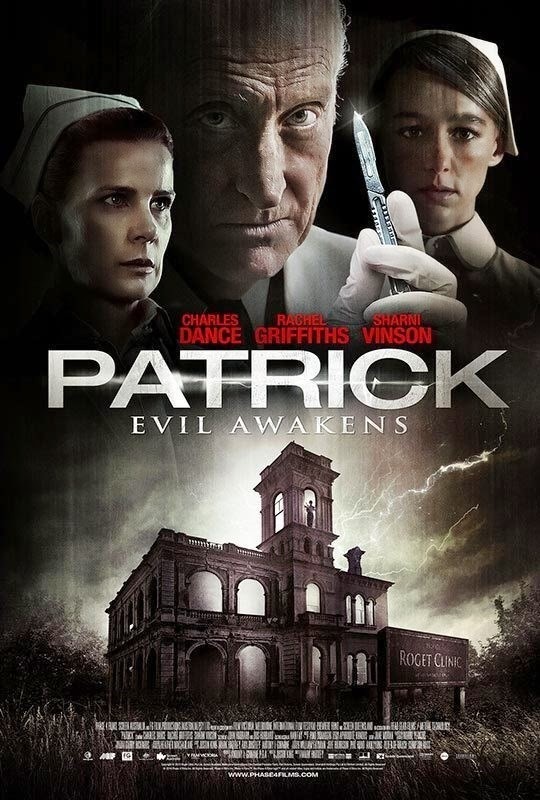 Plot/ When a young nurse begins work at an isolated psychiatric ward, she quickly becomes fascinated with Patrick, a brain dead patient who is the subject of a mad scientist's cruel and unusual experiments. What starts as an innocent fascination quickly takes a sinister turn as Patrick begins to use his psychic powers to manipulate her every move, and send her life into a terrifying spiral out of control. After hitting a few different genres over the past few days, I decided to venture back into the paranormal / occult for my viewing pleasure. 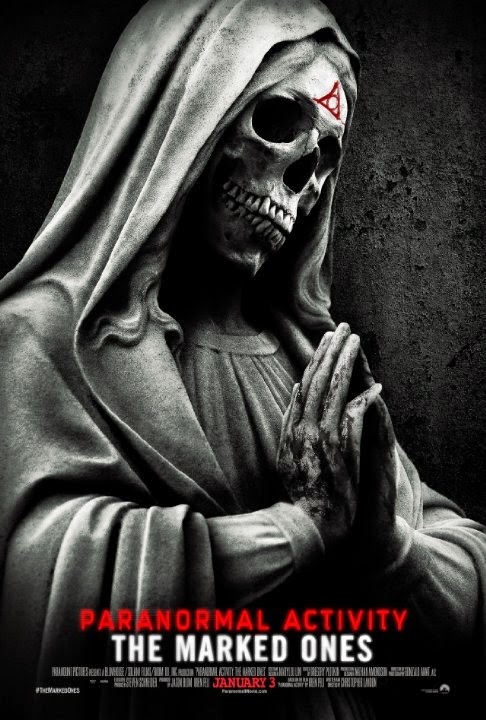 While there are a ton of movies out there that would fill that craving, I decided to venture back into the Paranormal Activity franchise for their latest installment, Paranormal Activity: The Marked Ones. Plot/ Jesse begins experiencing a number of disturbing and unexplainable things after the death of his neighbor. As he investigates, soon Jessie finds he has been marked for possession by a malevolent demonic entity, and it is only a matter of time before he is completely under its control. Last night I got my religious flick in for the weekend and I decided to dive into something in a different spectrum with my Monday evening viewing. While there were a ton of choices out there, I decided on the 2014 creature feature Dead Sea. Plot/ A Marine Biologist is assigned to investigate the mysterious deaths of marine life in an inland salt water lake that have been attributed to a creature thought to have been the stuff of legend. After watching The Facility, I decided to venture into a completely different direction for my next review. I decided to dive back into the religious realm, and potentially find some type of Antichrist themed movie. What did I find at Family Video? 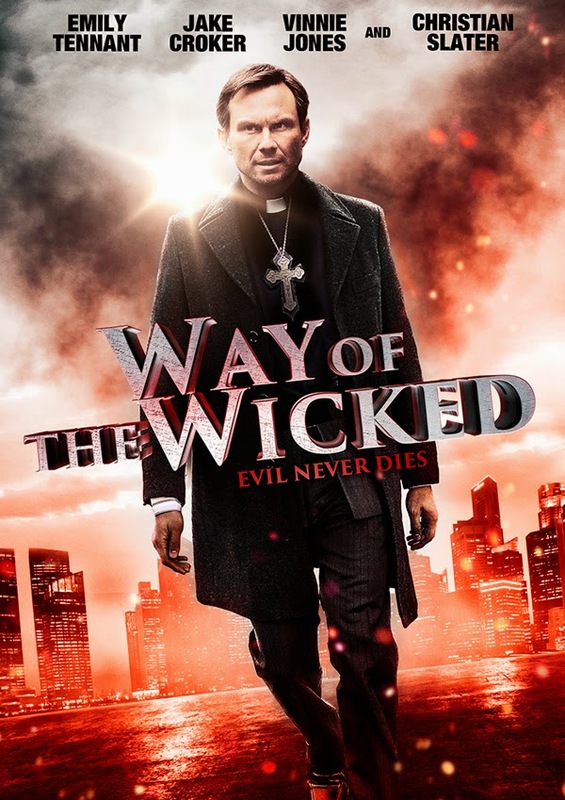 I found the 2014 Christian Slater flick Way of the Wicked. Plot/ After a series of inexplicable murders sweeps a small, isolated community, Father Henry goes to a local police detective with a theory on why the murders are occurring. After taking a few days to wade through my homework for the week, it was time to get back into some horror. While I did let the daughters watch Vampire Academy, I could not even find it worth paying attention to. Instead I focused on something more my speed, 2012s low budget horror, The Facility. 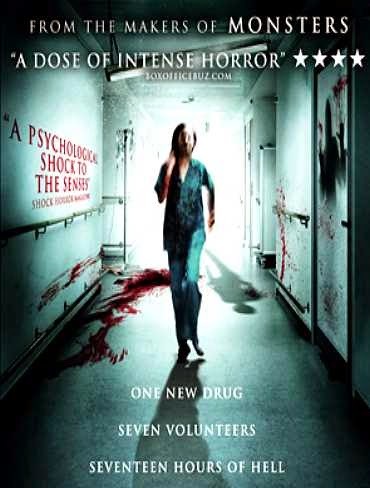 Plot/ Eight volunteers find themselves fighting for their lives when a drug trial goes horribly wrong. When I returned Mr. Jones the other night, I had a film jump off the shelf and catch my attention. While I should know not to rush into flicks based on packaging, this one felt different. 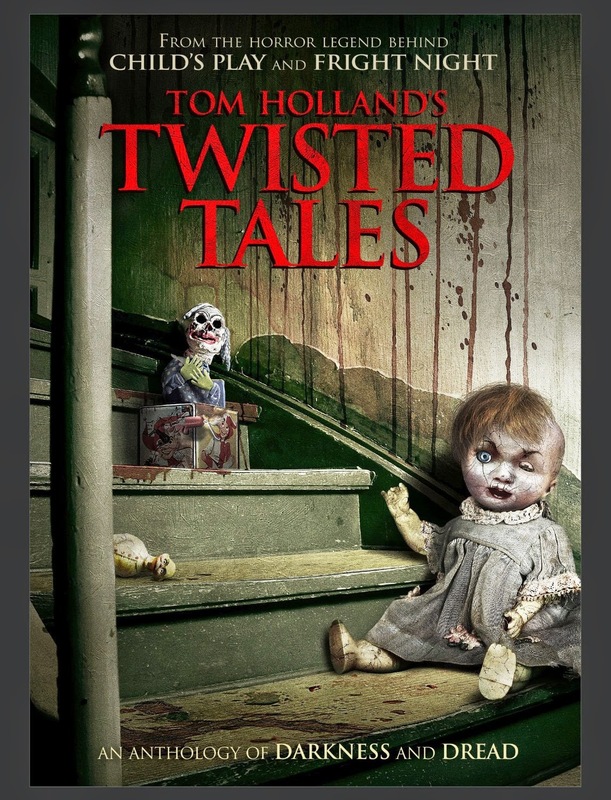 That film was 2013s Tom Holland's Twisted Tales. Plot/ Tom Holland's Twisted Tales was a web series hosted by our friends over at FearNet. There are nine short films, all written and directed by Tom Holland that cover a myriad of topics as only he could envision. One of the movies I grabbed the daughters (besides I, Frankenstein) was another PG-13 entry. Personally, I am not a fan of that rating and feel like studios overuse it. 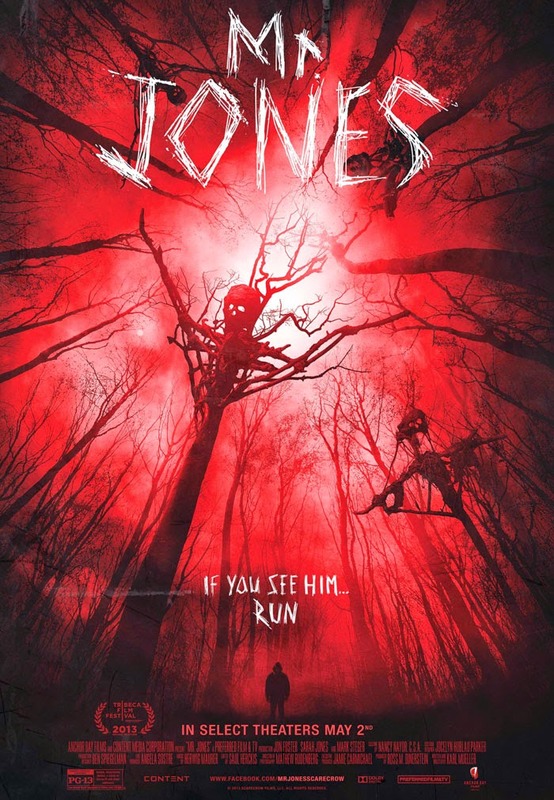 However, having kids there are times where I must suffer through movies like 2013s Mr. Jones just so I can keep them involved in the horror genre. Plot/ A young couple moves to the woods and soon finds their nightmares and reality colliding. I love classic tales. My favorites are often those stories that transcend generations and visual movie adaptations and the majority of time, come across in a fresh almost modern way. 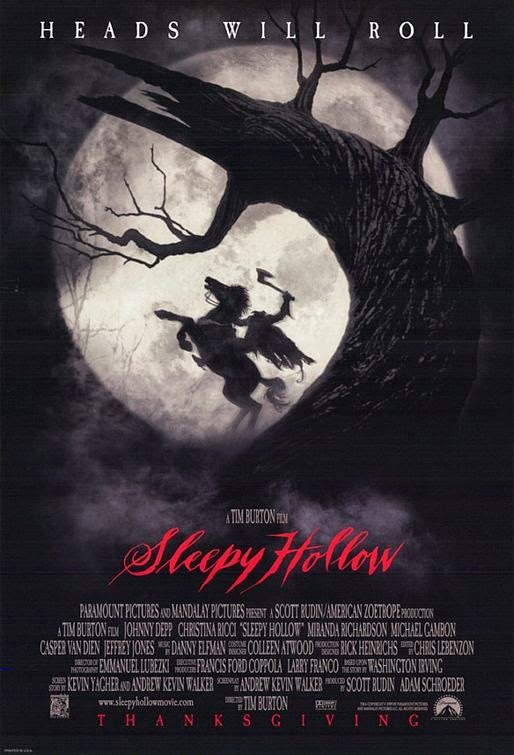 One such movie was on my television this weekend, 1999s Sleepy Hollow. Plot/ Ichabod Crane is sent to Sleepy Hollow to investigate the decapitations of 3 people with the culprit being the legendary apparition, the Headless Horseman. After watching I, Frankenstein last night it was time to dive into something a little more serious. With my writing class challenging me to dive into other genres besides my typical horror realm, I decided to watch a drama. My choice for the evening was the Holy Ghost People from 2013. 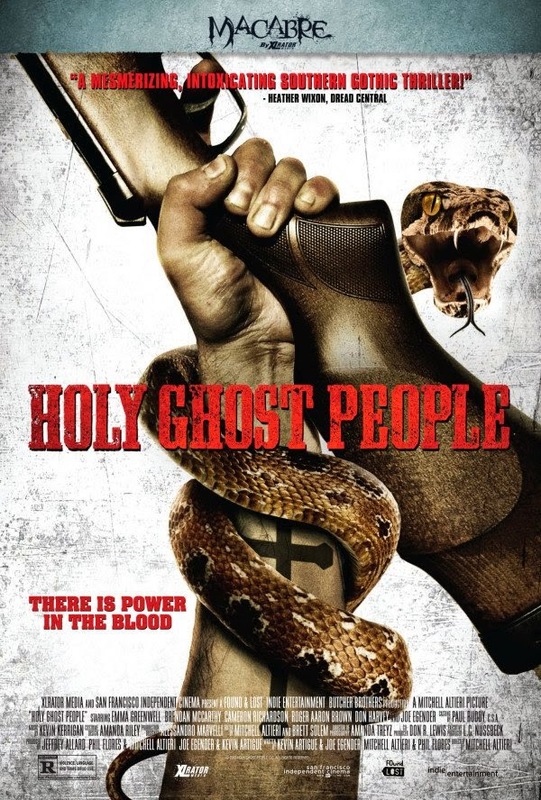 Plot/ On the trail of her missing sister, Charlotte enlists the help of Wayne, an ex-Marine and alcoholic, to infiltrate the Church of One Accord - a community of snake-handlers who risk their lives seeking salvation in the Holy Ghost. Ever since watching Jericho and subsequently reading the graphic novel, I have been hooked. I love the feel of graphic novels, and am always interested in finding movies based on them to see how well they translate. 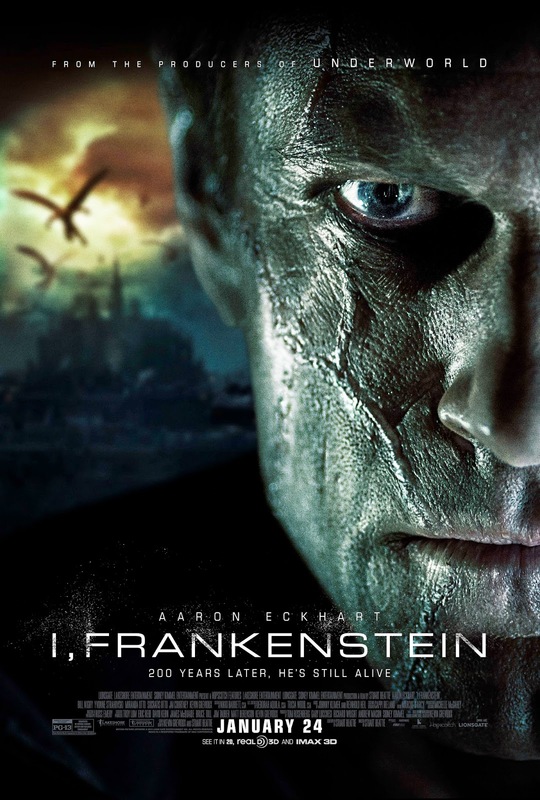 That was exactly what I found to watch tonight, 2014s I, Frankenstein. Plot/ Frankenstein's creature finds himself caught in an all-out, centuries old war between two immortal clans. After viewing a couple of no-budget indie flicks from Brain Damage Films over the past week, Bren picked up an interesting drama based on the early years of some literary icons. Having read many of the classics from the Beat Generation, this would be a solid change of pace. 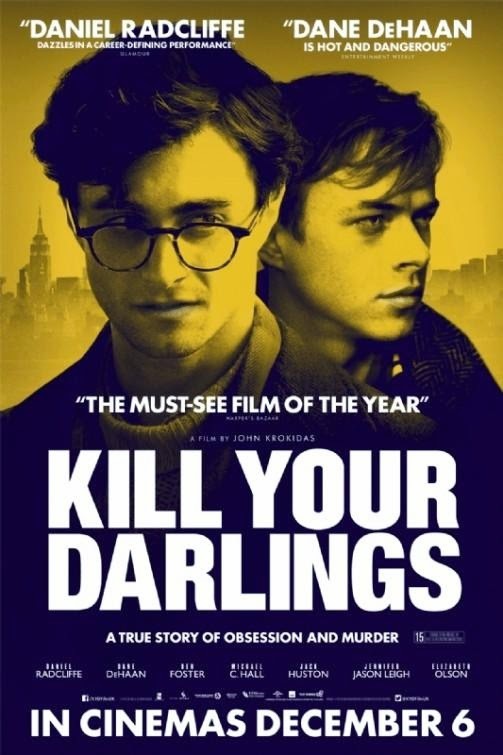 That selection was the independent drama Kill Your Darlings from 2013. Plot/ A murder in 1944 draws together the great poets of the beat generation: Allen Ginsberg, Jack Kerouac, and William Burroughs. Zombie films are everywhere. In time, it is likely to be one of the genres that will see the popularity die down. Unfortunately, there are many low budget indie flicks that populate the shelves, excessively many to watch, so finding the right one is often a challenge. Fortunately, there is always time to try. Next, up for review (also from Brain Damage Films) Blood Rush from 2012. Plot/ When a small town is overcome with a blood lust, the local Witch Doctor is thought to be the source. What they don't know is that he has a different agenda. With the NFL Draft finally in the books, I can finally take off my Steelers 101 hat and take a break. While I still have some work to do with a total recap and undrafted rookie profiles, it will be nowhere near the intensity of the past three nights. With some extra time on my hands, I decided to venture into the mind of Poe for my next review. 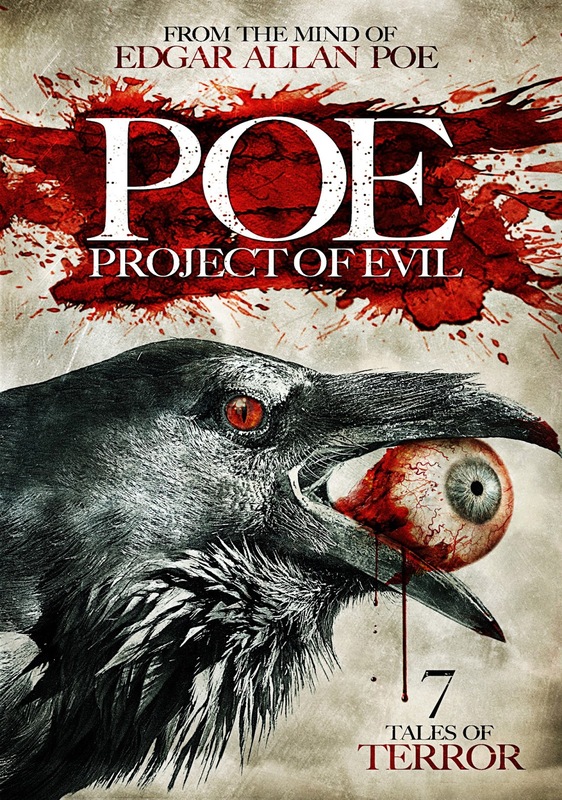 My selection for the evening was Brain Damage Films, POE: Project of Evil (AKA P.O.E. 2) from 2012. Plot/ In this twisted horror anthology, eight talented Italian directors present their takes on the disturbing tales of Edgar Allan Poe, each in a very personal and modern way. Prepare to experience the terror of POE like never before!